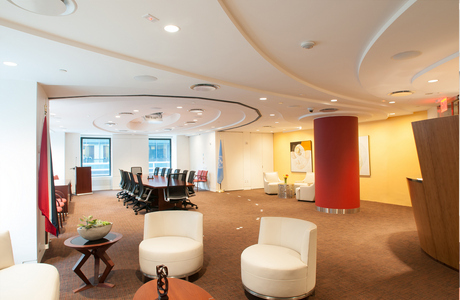 Located in New York City near the United Nations, the Permanent Mission develops principled positions of policy advanced by Trinidad and Tobago within the United Nations on a wide range of global issues. As it was not space-wise possible to provide a separately designated area for each of these scenarios, JGArchitects proposed one multi-function space which could accommodate all of these activities. 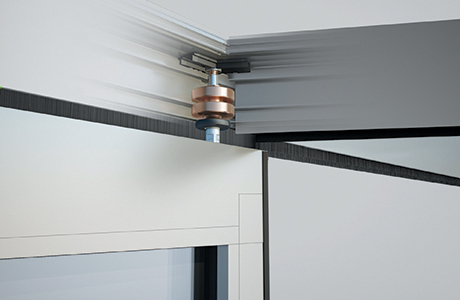 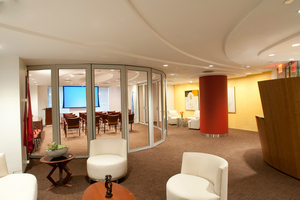 The key element to enabling this was a curving glass NANAWALL MOVEABLE-WALL. 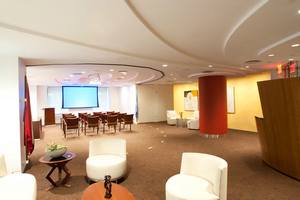 Flexibility was also enabled by multi-scene dimmable lighting; automated multiple window treatments; and furniture which when not in use, could store away easily and compactly, --including a twenty-person wired conference table.